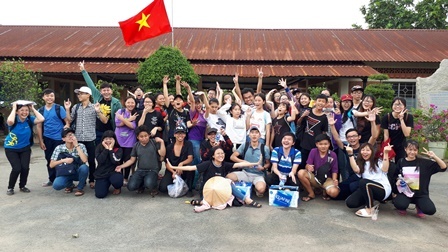 Every year, students from Saigon Hospitality and Thang Long English and Vocational Training school have a field trip doing community service to the Orphanage, Center For Disabled Children and nursing homes. Such extracurricular activities with a great sense of purpose are always well received and draw a high amount of interest among students. 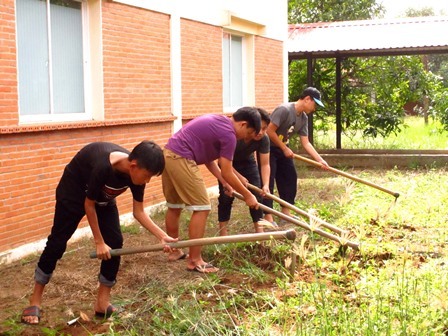 In the previous years, students had opportunities to go on field trips to Củ Chi and Phan Thiết. It is a great opportunity for students to get out of their comfort zone, gain a better understanding of life and the struggles of the children at the orphanage, disabled children and the elderly. In addition, the trip also helped them to gain empathy towards their less privileged peers and helped to motivate them to live more responsibly. The trip ended with a lot of good memories. The students went home with a total openness of mind and heart. Everyone was happy with the new experience and the new lesson on life value from the trip. Saigonchildren hopes they will continue to make contribution to the community because life is not only about receiving, but it is also about giving.